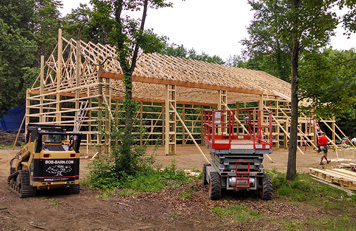 Burly Oak Builders is an Owner-Operated Pole Barn Building Company Located in Dexter, Michigan, That Specializes in Custom Pole Buildings and Home Improvement Projects. Our structures can be used for a variety of purposes including horse barns, riding arenas, training facilities, artist studios, workshops, offices, RV storage, and garages. Burly Oak Builders also offers home remodeling and additions construction services. Our mission is to provide you with excellent workmanship and customer service. The level of excellence, thoroughness, and integrity of our team at Burly Oak Builders is unmatched – we guarantee it! 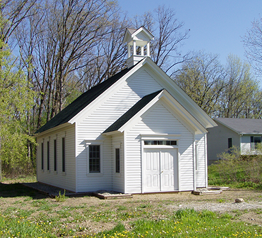 Whether it's a horse barn, workshop or garage, our custom designed approach can provide you with a building that fits your needs as well as your budget. Burly Oak Builders' experience in design and the detailed hand-drawn blueprints help us achieve a greater level of accuracy and concept realization. This, coupled with quality materials and craftsman who pay attention to every detail, ensures you of a job we will all be proud of. 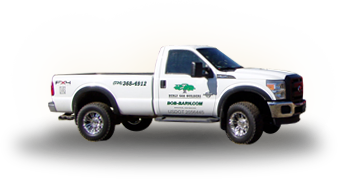 Burly Oak Builders is dedicated to providing you with excellence in customer service in everything that we do. We know what it takes to gain your satisfaction and what it takes to have you refer us to your friends, family, and associates. We believe customer service should always come first.